Dry & Steam Rug & Carpet Cleaning Company Ilford IG | Quality Property Care Ltd. If your domestic or commercial carpets and rugs require professional refreshment, you are on the right place! The hard-working and deligent expert carpet cleaners will make them brighter, softer and more hygienic than ever. Give our rug cleaning customer support representatives a call on 020 3746 4287! They will fix deep carpet cleaning service whenever possible for you! 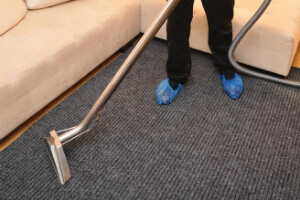 Quality Property Care Ltd. is a reliable and widely recognized professional rug cleaning company. It has more than TEN years of rich working experience in the field. Through the years, we have acquired the best rug cleaning methods. They are customized for effective and faultless carpet stain and spot removal, as well as to main home rugs in top condition. We promise you to restore and brighten any carpet! We are real experts in stain removing. Keep in mind that we can take out the following types of stains: paint, rust, oily stains, blood, tea, coffee, moth damage, vomit, wine. 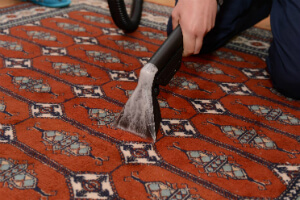 To ensure proper cleaning approach for each rug or carpet type, the educated and well-trained carpet cleaners are instructed to analyze it at first. The company Quality Property Care Ltd. also can deliver professional mattress cleaning, bed bug mattress treatment, curtain cleaning, drapery cleaning and blinds cleaning. In fact, if you book a joined together cleaning service, such as deep carpet cleaning plus mattress cleaning, you will get a big discount from the price of the service. So, don't wait and request for that 100% free quote or book your combined cleaning service now! When it comes to rugs we clean Wool rugs, Persian rugs, Chinese rugs, Tibetan rugs, area rugs, handmade rugs, silk mix rugs, shaggy rugs, Indian rugs, Play Rugs Turkish Rugs Egyptian Rugs, antique rugs, floor mats, entrance mats, logo mats, rubber mats, industrial mats and anti fatigue mats. Book anytime by calling 020 3746 4287 or posting a booking form on our site. Get in touch with us with no hidden fees and any obligations.